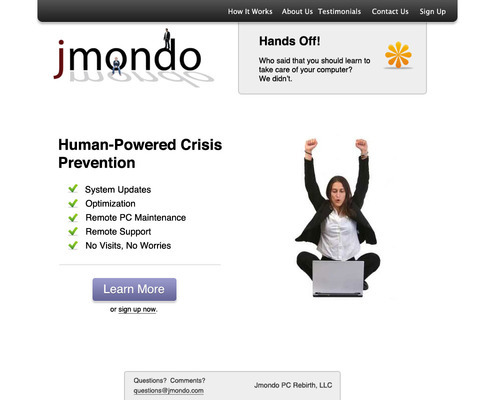 Jmondo PC Rebirth is a computer maintenance and automation company. 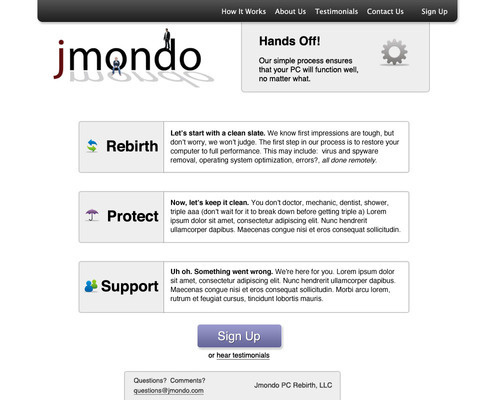 I was commissioned by its founder to design the beginnings of a website for this startup. 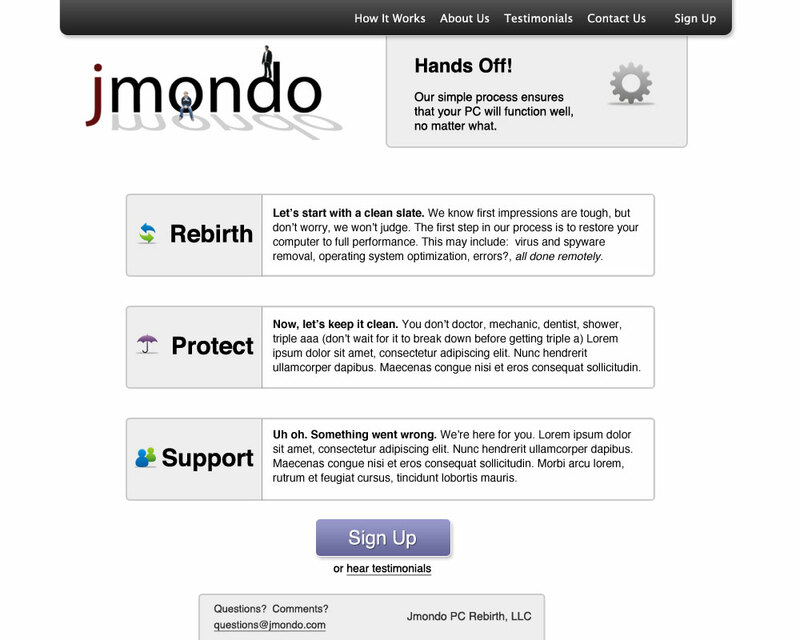 While the website never saw completion, the results in mockup form turned out pretty well considering that I am not a designer.